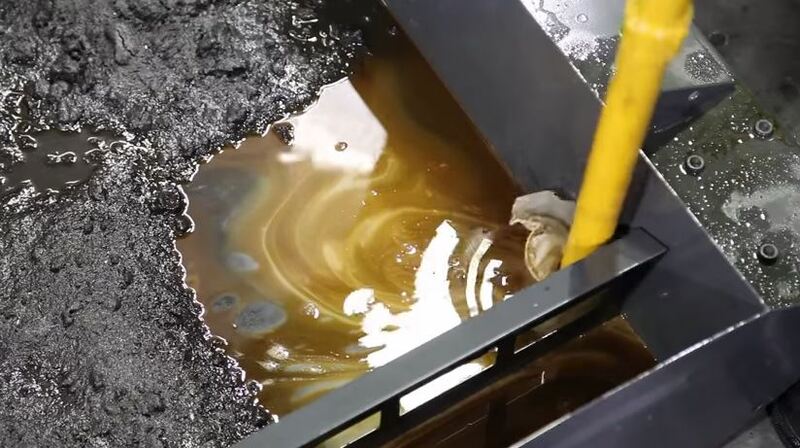 If you are using a water-based coolant, it is hard to stress too much how important it is to keep your machines clean. A little bit of maintenance once a week will go a long way to keeping your machines running properly. And if you are spending extra for Tool-X and its nanofluid technology, then you certainly don’t want to screw it up by allowing bacterial growth and high pH readings to break down the emulsions that keep our nano-onions in the coolant. The second way Tool-X makes maintenance easy is that, by keeping chip temperatures lower, chips don’t have the same ductility and they break off sooner and in smaller sizes than with conventional alternative formulations. In other words, Tool-X nano-onions prevent “rats nests” and other clumps and tangles from forming. Someone still needs to get their hands dirty and clean the chips out of the sump on a regular basis, but the job is a lot easier if the chips are small and uniform in size. Does your tank look like this? You should clean it. Read on to find how and why. Draining a tank can be hard work. A manual pump with a screen filter can get the last bit out. If a company can’t properly clean and maintain their machines, then they are unlikely to be a long-term customer for Tool-X – because they won’t get the benefits they are paying for by purchasing Tool-X coolants. Your Tool-X representative should be able to provide you with recommendations for cleaning chemicals, test equipment, and processes. Fortunately, there are also many great videos on YouTube which show how to clean and maintain your machine. Rather than reinvent the wheel, we provide links below to our favorite videos, but our key interest is that the cleaning and maintenance is done right. Water-based metal working fluids are all based on emulsions – which use surfactants to maintain emulsions (tiny droplets) of oil in place and dispersed throughout the coolant. 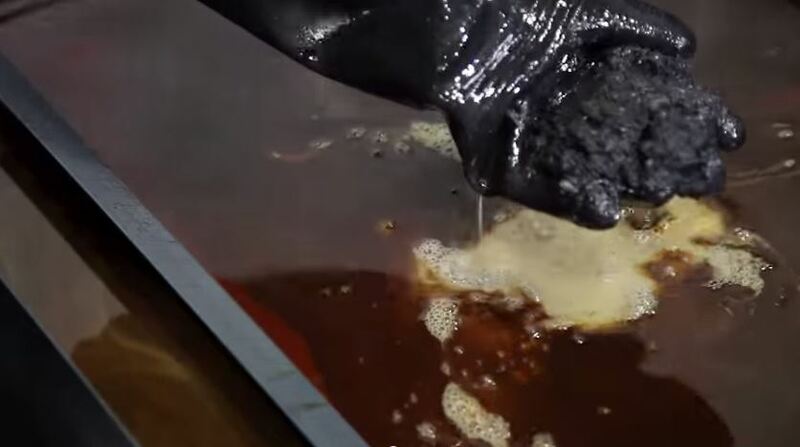 Without the emulsion, the oil would separate from the water and rise to the top, and many of the additives would fall out, and sink to the bottom of the sump. You would be left with mostly water being pumped to lubricate and cool your tool and part, with little or no lubrication, and without the anti-wear and detergent additives that are crucial for removing chips from the cutting surface. Emulsions can break down because of changes in surface tension caused by the presence of particles, which can agglomerate and fall out, or because of higher pH, or because films caused by bacteria that grown on oxidized or dirty metal surfaces. Tool-X prevents birds nests that form when chips remain ductile from high heat. Bacteria will grow on chips, sludge, and tramp oil if it is left in the tank. The first step is to maintain the right level of coolant. Water-based coolants are formulated so that the water acts as the coolant while the oil provides the lubricant and the other additives maintain the emulsion and protect from wear and rust. Add too much coolant, and you are wasting your money, and you may even find that your temperatures go up, as too much oil prevents the water from cooling. With too little coolant, then there is not enough oil and additives at the interface of tool and part, and excess wear, shorter tool life, and poor surface finish will result. Using a refractometer, whether manual or digital, is the key to knowing whether your coolant levels are in the proper range. The video below includes good instructions on using a manual refractometer. Maintaining the right amount of coolant is not a simple task. The additives in the coolant behave differently than the water. 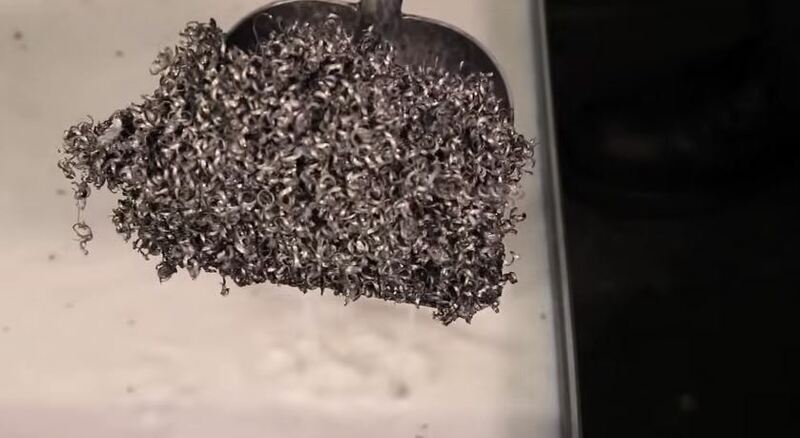 The water will boil and evaporate in contact with the hot metal tool face and parts, while the oils will tend to be dragged out by adhering to the metal surface of the parts, and certain additives are slowly consumed by oxidation or by acting as detergents and removing dirt and deposits from the coolant. The Tool-X nano-onions are a special case – as an inert and highly thermally stable material they will not normally evaporate or break down, and they will tend to slowly accumulate in levels over time. Because they are difficult to measure with a refractometer or other tools, it is fortunate that they work well over a fairly wide range of concentrations. Optimal levels are usually attained a few weeks after first use in a machine. The second step is maintaining the water quality of your coolant mixture. By this, we mean monitoring the pH and hardness of the coolant using test strips. This is important, as these are key signals that your coolant quality has deteriorated and coolant may need to be replaced and your tanks (once again) cleaned. Of course, there are many simple steps you can take to postpone the inevitable. Regular maintenance, maintaining coolant levels and removing chips from the sump, deter bacterial growth. But one of the simplest steps – and most ignored – is to use deionized water. It’s the same idea as your coffee maker, iron, or hot water heater. The hard minerals in the water remain behind when the water boils or evaporates while cooling the tools, and over time the water hardness will build up, which again effects the emulsion, as well as promoting corrosion. Using a simple deionization system with a reverse osmosis filter can provide deionized water for only pennies a gallon. Note that you only need to use deionized water when topping off – the optimal levels of water hardness are those of tap water, so you are only trying to prevent the hardness from increasing over time. The third step is to test regularly for bacteria. Yes, a truly grimy, disgusting sump that smells certainly has excess levels of bacteria. But even a relatively clean looking machine can be hiding bacteria in the pumps, lines, and pipes that aren’t visible without dismantling the machine. By using a test kit, you can check to see if you have a problem. 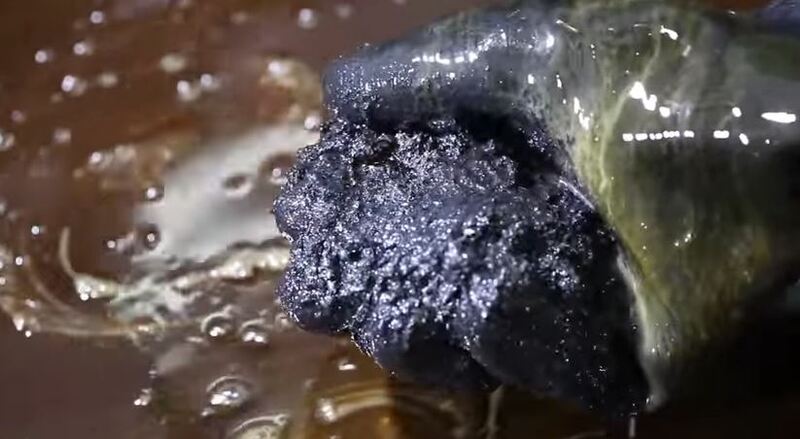 Note that if you don’t clean out these hidden deposits, it is quite likely that bacteria will once again be growing, with problem concentrations after as little as four days. Fortunately, one of the best solutions is to simply use Tool-X. Our nano-onions act as nano-scale abrasives and clean the metal surfaces of your pumps and lines, which inhibits bacterial growth. Tool-X is not environmentally harmful, unlike many biocides, because it is inert and not chemically reactive. It cleans simply by a very fine scouring of the metal surfaces as it flows by. But with proper maintenance, using deionized water, and regularly removing tramp oil, chips, and sludge, you can prevent the bacterial build-ups that prevent coolants from working properly. It is perfectly possible to double your coolant life with proper maintenance – or to ruin your coolant within days if you don’t. Using Tool-X will help – with smaller, easier to remove chips, with cleaner pipes and fittings, and with a long lasting additive package – and you will see the results in better tool performance, better surface finish, and better accuracy. Rather than reinvent the wheel,we fully endorse their findings and suggestions.